Intended UseHuman AHA ELISA Kit allows for the in vitro quantitative determination of AHA , concentrations in serum, Plasma , tissue homogenates and Cell culture supernates and Other biological fluids. specificalIntended Uses: This AHA ELISA kit is intended Laboratory for research use only and is not for use in diagnostic or therapeutic procedures.The Stop Solution changes the color from blue to yellow and the intensity of the color is measured at 450 nm using a spectrophotometer. In order to measure the concentration of AHA in the sample, this AHA ELISA Kit includes a set of calibration standards. The calibration standards are assayed at the same time as the samples and allow the operator to produce a standard curve of Optical Density versus AHA concentration. 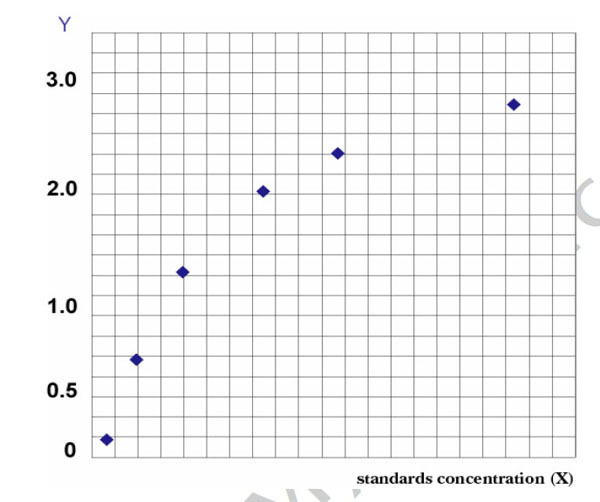 The concentration of AHA in the samples is then determined by comparing the O.D. of the samples to the standard curve. Principle of the Assay: This AHA enzyme linked immunosorbent assay applies a technique called a quantitative sandwich immunoassay. The microtiter plate provided in this kit has been pre-coated with a monoclonal antibody specific for AHA. Standards or samples are then added to the microtiter plate wells and AHA if present, will bind to the antibody pre-coated wells. In order to quantitatively determine the amount of AHA present in the sample, a standardized preparation of horseradish peroxidase (HRP)-conjugated polyclonal antibody, specific for AHA are added to each well to "sandwich" the AHA immobilized on the plate. The microtiter plate undergoes incubation, and then the wells are thoroughly washed to remove all unbound components. Next, A and B substrate solution is added to each well. The enzyme (HRP) and substrate are allowed to react over a short incubation period.Only those wells that contain AHA and enzyme-conjugated antibody will exhibit a change in colour. The enzyme-substrate reaction is terminated by the addition of a sulphuric acid solution and the colour change is measured spectrophotometrically at a wavelength of 450 nm. Inquiry About Human AHA ELISA Kit If you hope to order it or contact us directly, please contact us via sales@biobool.com. We will get back to you in 12hrs,Thanks!